One 40 William is the home to many up and coming eateries. 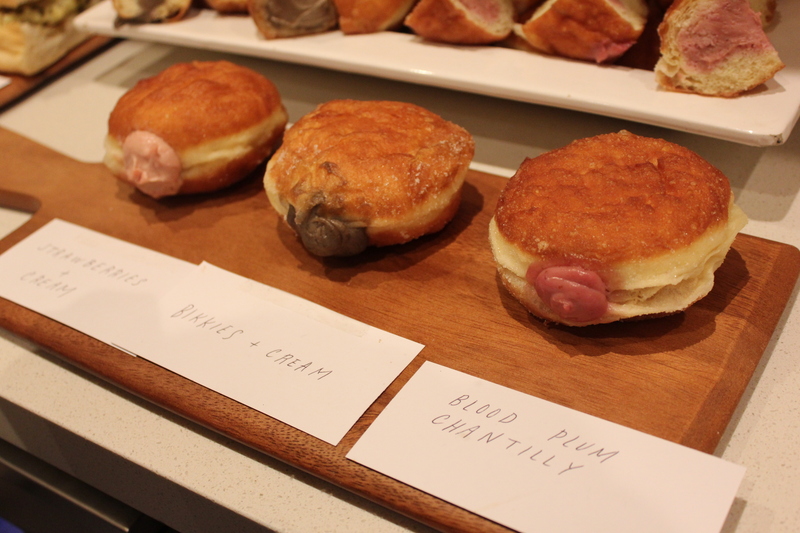 Just to name a few, there’s Brotzeit, Koko Black, Jamie’s Italian, Bambamboo and most recently, Max and Sons. 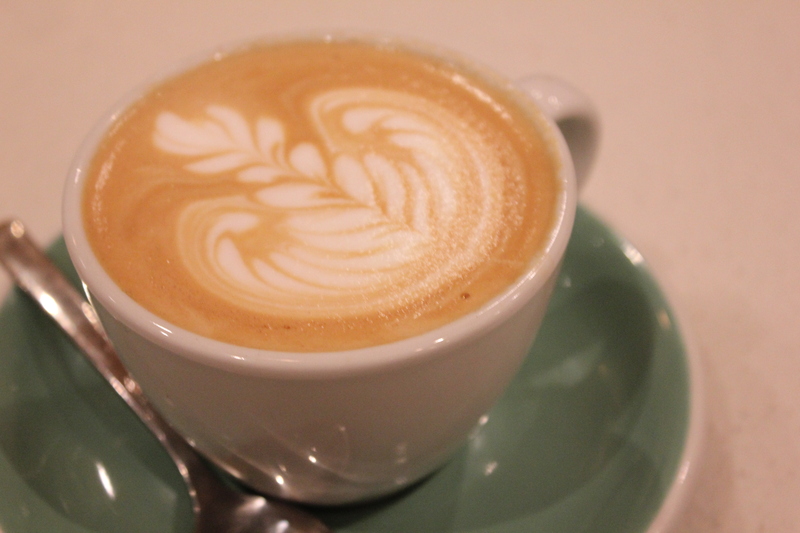 Max and Sons is brought to you by the guys behind Mo Espresso in Trinity Arcade. Recently, I was invited along to celebrate the launch of this new coffee shop with fellow food bloggers, media personalities and the team at Max and Sons. Just along the lane at 140 William, walk past Brotzeit and Bambamboo and you will not be able to miss this welcoming and bright little coffee shop. 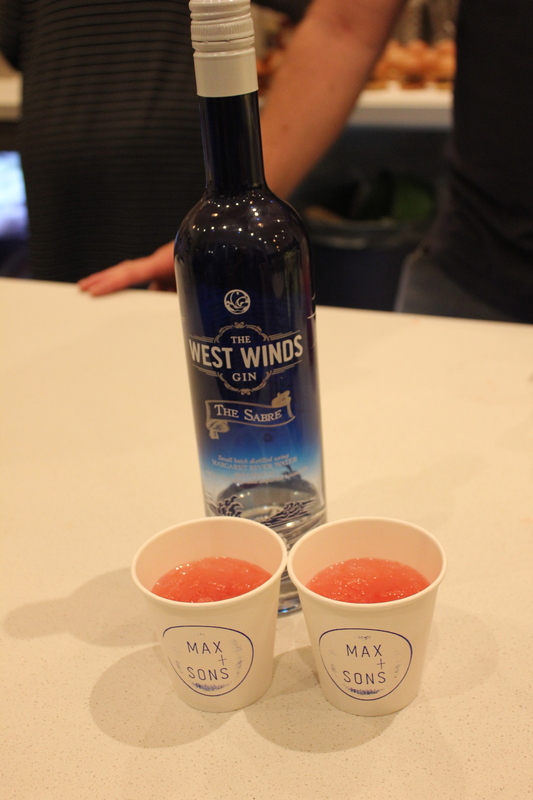 To start off the night, we had a refreshing watermelon juice with West Winds gin. A gin is all you need after a long and tiring day. 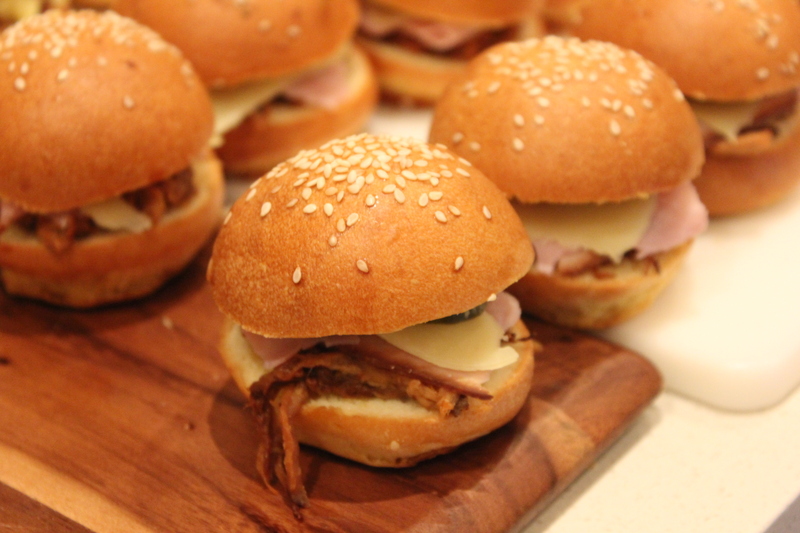 We were also treated to some little scrumptious sliders and sandwiches. 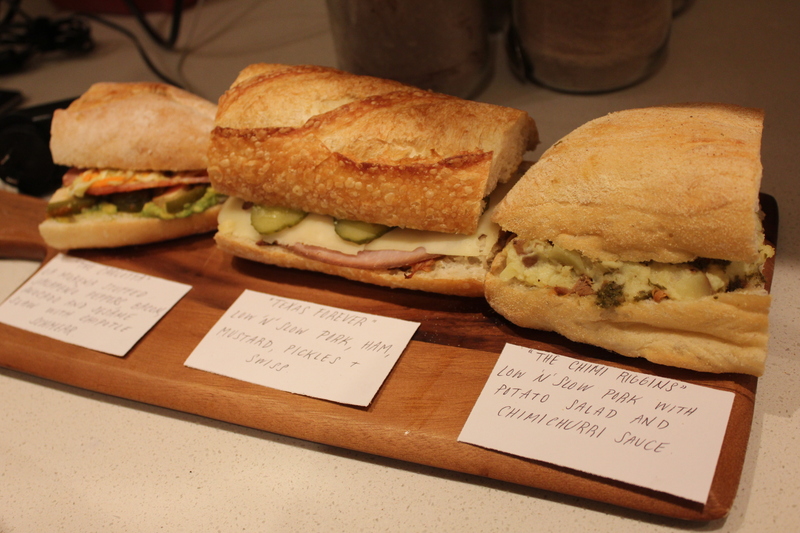 Looking for a sandwich with a chilli kick? I recommend you “The Carlotta” which comprises of stuffed jalapeno peppers, bacon, avocado, sesame slaw and chipotle smear. It has a good chilli kick which will make you breathe fire and make an excellent winter warmer. Apart from indulging in sandwiches and doughnuts, we had some coffee and watched a live demonstration of how the modern drip coffee machine played its role to make the quality coffee at Max and Sons. 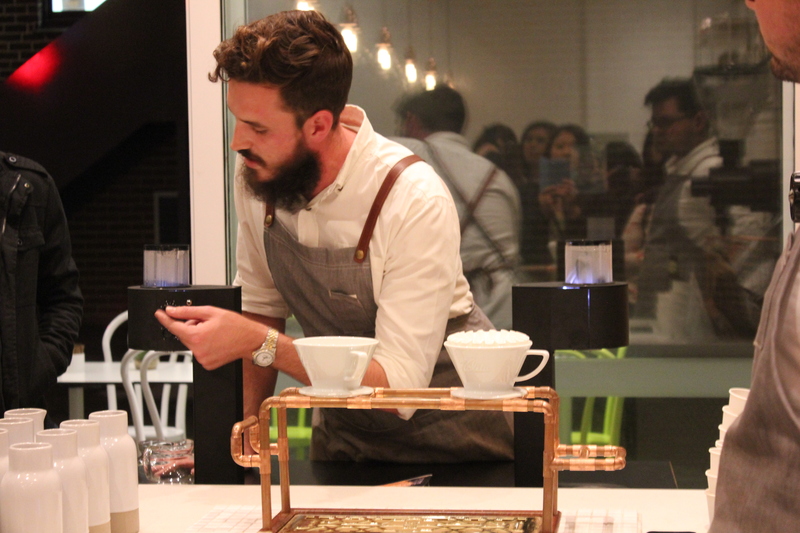 I must admit that that coffee machine looks pretty cool! Coffee is a serious business at Max and Sons and I must say that their coffee here was lovely as they use quality beans from Five Senses. If you are in the city on your way to work and you need a dose of caffeine to kick start your day, head down to Max and Sons and don’t forget to grab a sandwich or doughnut (if available)!